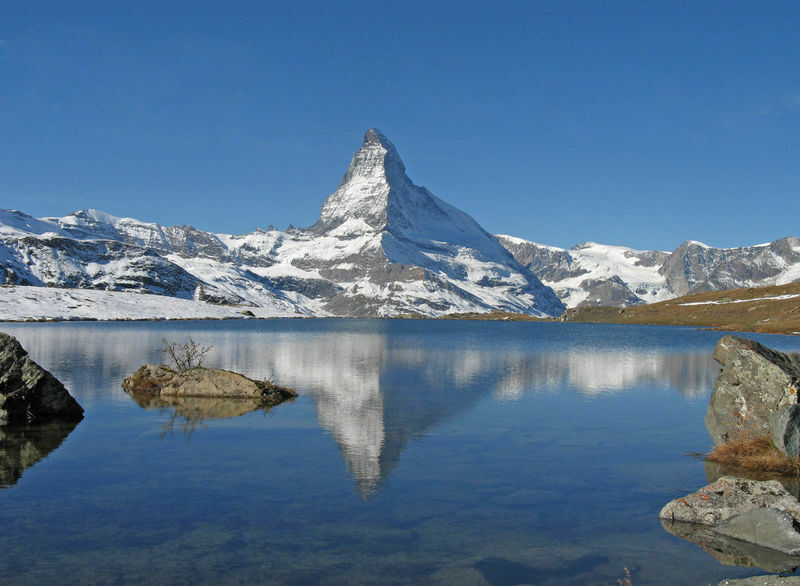 Pictures of the Stellisee can be seen all over the world: hardly surprising, because the reflection of the Matterhorn on its still surface has been photographed millions of times. 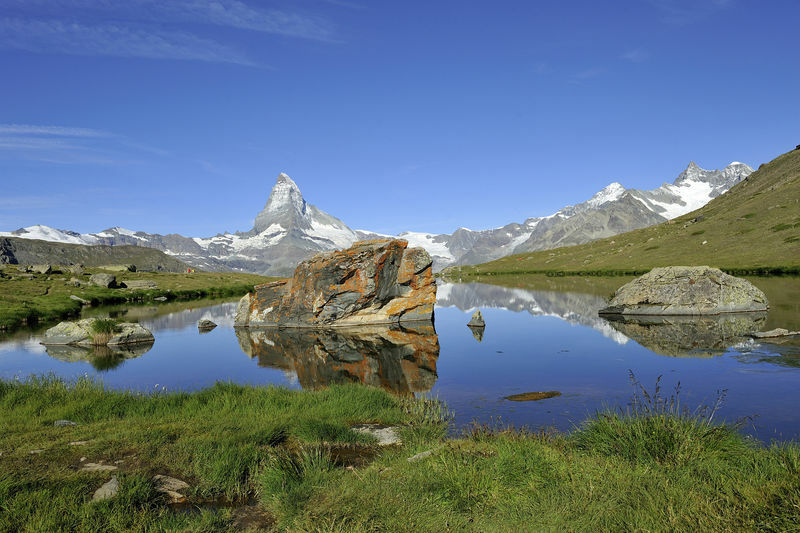 The panoramic views of towering peaks, well over 4,000 m high, are among the most dramatic in the Zermatt region. 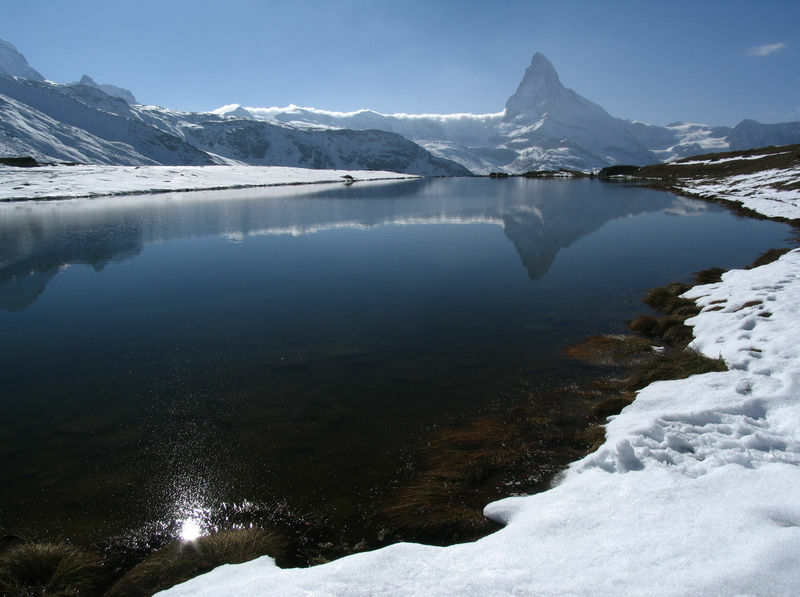 The lake is a 20-minute walk from the Blauherd summit station. 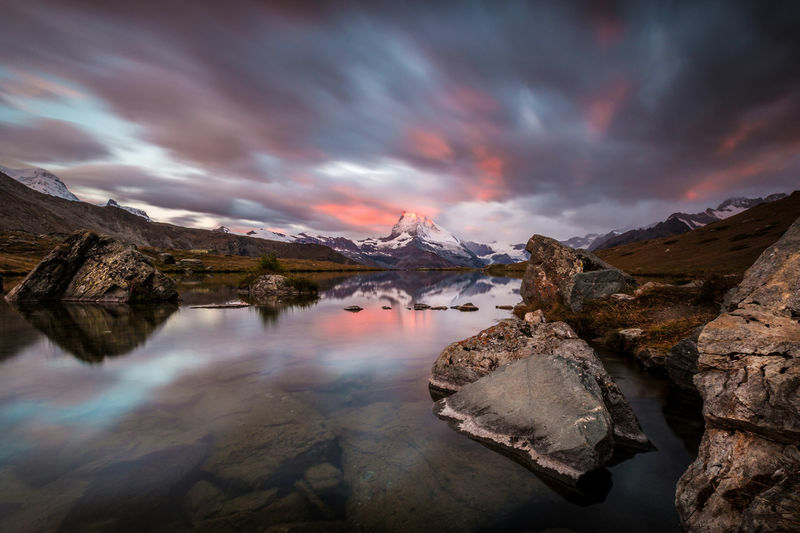 At sunrise and sunset, especially, this is a particularly romantic spot. Cotton grass grows along the lakeshore, providing splashes of white among the green-brown hues of the meadows.